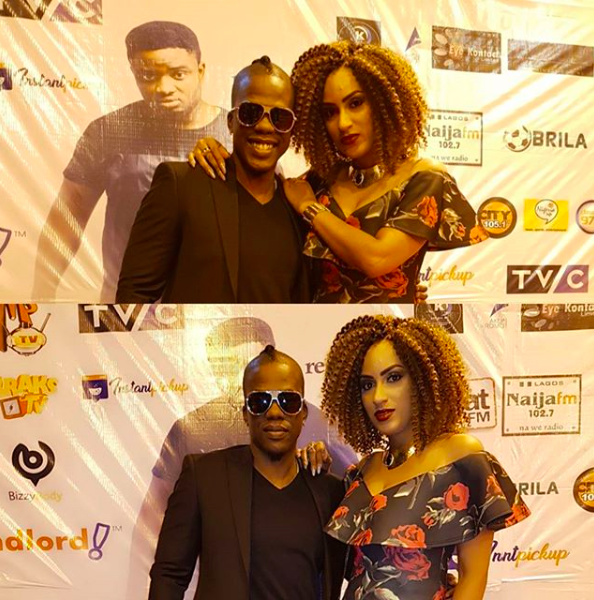 There seem to be a Nigerian/ Ghanaian war brewing on Instagram after Ghanaian actress Juliet Ibrahim who is dating Nigerian rapper Iceberg Slim shared their loved up photos. 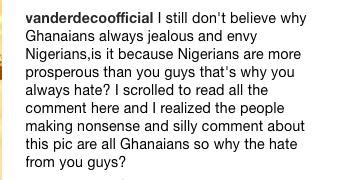 Following the now rested Nigerian and Ghanaian Jollof rice war, citizens of the two West African countries found something interesting to fight about. 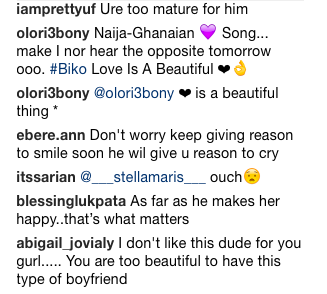 Juliet Ibrahim and Iceberg started dating months ago and look so in love but people especially Ghanaians, don't seem to want them together. 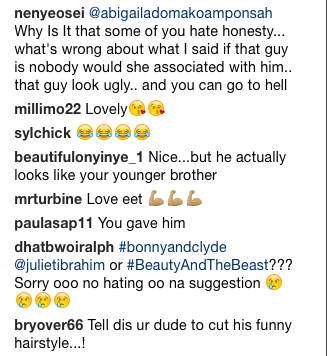 After Juliet shared photos of herself and Iceberg at an event, many stormed her page calling him ugly and below Juliet's standard. 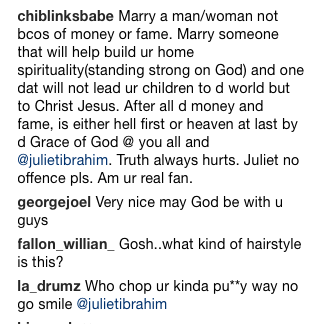 One even accused Juliet of dating Bryan Okwara claiming he used and dumped her. 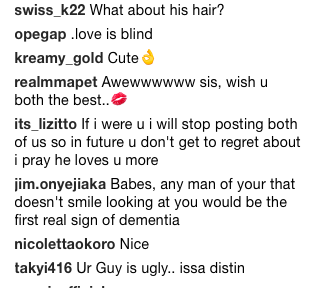 Juliet didn't let that slid, she gave the busybody fan a response, clearing the air about her alleged romance with the Nigerian actor. 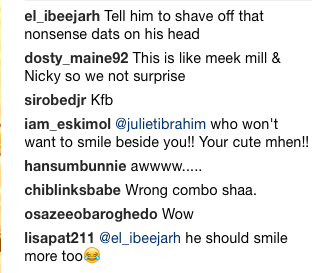 Is it you that dated him for me to be used and dumped? 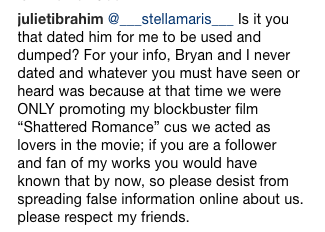 For your info, Bryan and I never dated and whatever you must have seen or heard was because at that time we were ONLY promoting my blockbuster film “Shattered Romance” cus we acted as lovers in the movie; if you are a follower and fan of my works you would have known that by now, so please desist from spreading false information online about us. please respect my friends.